Inspired by Nate's recent 'Cult of Martin Wallace' geeklist (http://www.boardgamegeek.com/geeklist.php3?action=view&listi...) I have decided to shed light on our one true gaming lord. Unlike Nate in regards to Wallace, I am a member of this cult, though my perceptions of the beliefs of out members may nonetheless be incorrect. 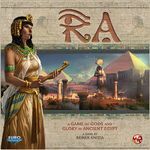 Please feel free to share further information about your beliefs if you are a member (or former member) of the cult of Reiner Knizia - particularly if they happen to contradict mine. Outsider views are also welcome, but before going please do help yourself to some pie and Kool-Aid. It's Knizia's world - we're all just hoping to keep our VP cubes balanced in it. 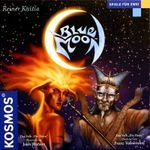 * Blue Moon is well worth spending $100+ on right now! * When Knizia adds a luck element into a game he does so while still ensuring that skillful play matters most. 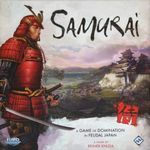 * Though newer games may have similar mechanics to other games, it is the novel and seamless blending of those mechanics that makes Knizia's games great. 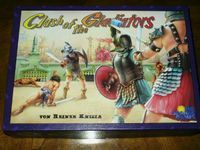 Clash of the gladiators was not a game, but an april fools joke. This does not reflect his abilities in an way. 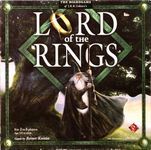 *Lord of the Rings: The Confrontation is just Stratego with cards and a pasted on them. 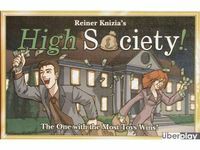 Definitely needs to be included in the "Knizia Family of Champions". 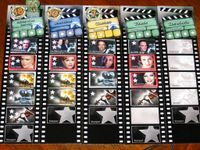 One of the favourites of our gaming group "The Knizia Brotherhood". 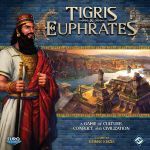 Another Knizia gem. Incredibly simple in concept, difficult to play well though. One of my favourite fillers. And for those of us wishing to raise our offspring in the One True Faith, don't forget catachism class - Reiner Knizia's Amazing Flea Circus, Poison, Ingenious, Honeybears, Loco! and many more are all excellent for teaching our children the basic tenets of our faith, so they will never stray to the heresies of Candyland and Payday. 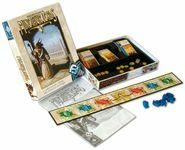 And on the fourteenth day, Herr Knizia gave use Amun-Re, and the people they did rejoice. * Reiner recognizes that, as in life, the winner shouldn't just be the person who got the most stuff. This necessitates unorthodox (what non-believers see as convoluted) scoring mechanisms. * Reiner doesn't need shiny bits to sell games (See: Modern Art) but isn't opposed to them either. 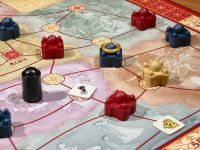 Witness how RK effortlessly integrates theme and mechanisms into a mass market game. He also keeps it simple - an auction on rails. He COULD have made it into a more complex game by taking the auctions off the rails, but keeping his target audience in mind, didn't. Ye who have been inducted into the Chapel of Lost Cities, verily shall ye go forth and spread the even better Gospel of Battle Line, which while just as tense at least gives you a choice of which pile to play your crap cards onto. Amen. 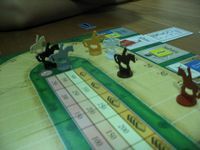 Hey, let's not forget Knizia's second masterpiece -- the mystifying, mindbending Royal Turf! 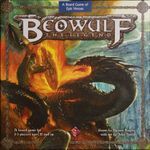 Disdained by some as a mere roll-and-move exercise, this becomes a gem of bluffing and speculation in the hands of experienced players. You've got to play the odds, but you've got to play the other players, too! Oh, and of course if you're not playing the "advanced rules," where all the betting chips are placed face-down, you're not really playing the game. 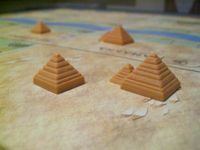 Can you believe that THIS is the game nominated for Spiel des Jahres in 1999 instead of Ra? Incredible as it seems, the SdJ gang missed the enduring greatness of Ra. Nevertheless, ya gotta admit they had something on the ball about Money! A great little auction game, where all the bids are made simultaneously, and every bidder gets something -- first choice to the top bidder, second choice to the next and right on down the line. Go through the deck once and try to scramble together the best scoring runs you can in the different currencies. I know some people swear by High Society, but at the tables where I play, it's Money! 's fifteen minutes of crunchy goodness that we sink our teeth into time and time again. 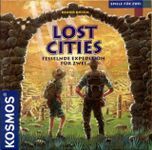 As one who could only be considered interested in the cult (I do like some Knizia games and some...well I hate) I'm shocked to see the lack of this game. 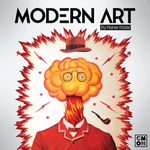 It combines Auctions, unusual scoring, some logic, some luck. This game is a great game and with the FF Silver Line...it's extremely affordable. 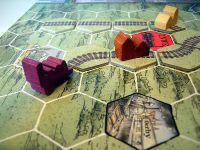 You like railroad games? Reiner can do railroad games. This one is simple to learn, but has many, many subtle possibilities. Worthy of inclusion on this list.